Dahi ke kabab is a delicious fried snack made from hung curd or maska, potatoes, paneer. It's is perfect for parties or social gatherings. It's very famous in North India and often eaten as evening snacks too. With this easy recipe you can too make this yummy snacks for your kids and loved ones. Do try it today! To make hung curd, place a fine mesh strainer or Muslin cloth over a bowl. Put the curd on the strainer. Cover the strainer and put it along with bowl in refrigerator for 8-9 hours. Water from Curd will drain in the bowl. Discard this water. 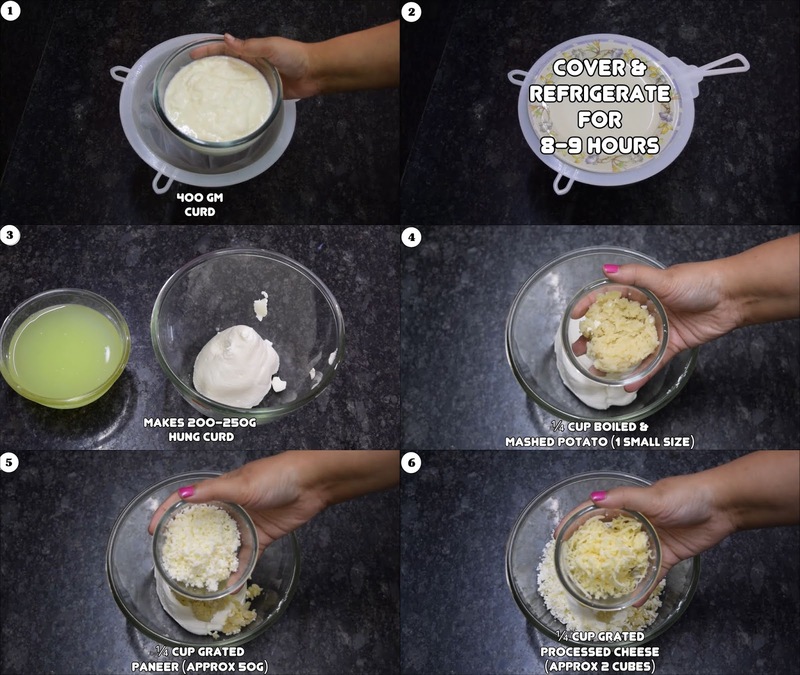 Take out the Hung curd in a bowl. Add potatoes, paneer, cheese, ½ cup bread crumbs, mint leaves, coriander leaves, green chillies, ginger, cardamom powder & salt to taste. 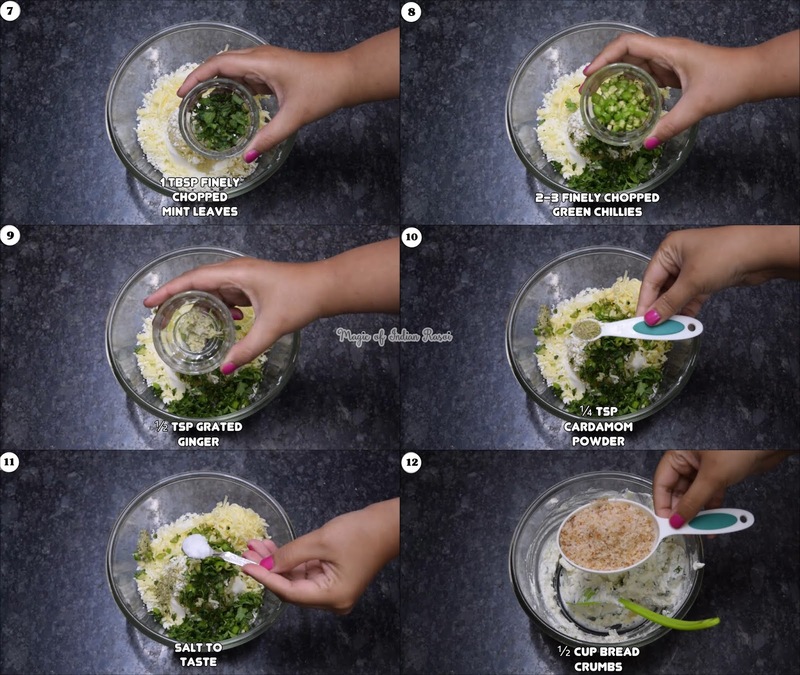 Mix will with a spoon. Cover & freeze this mixture for 1 hour so it becomes stiff. 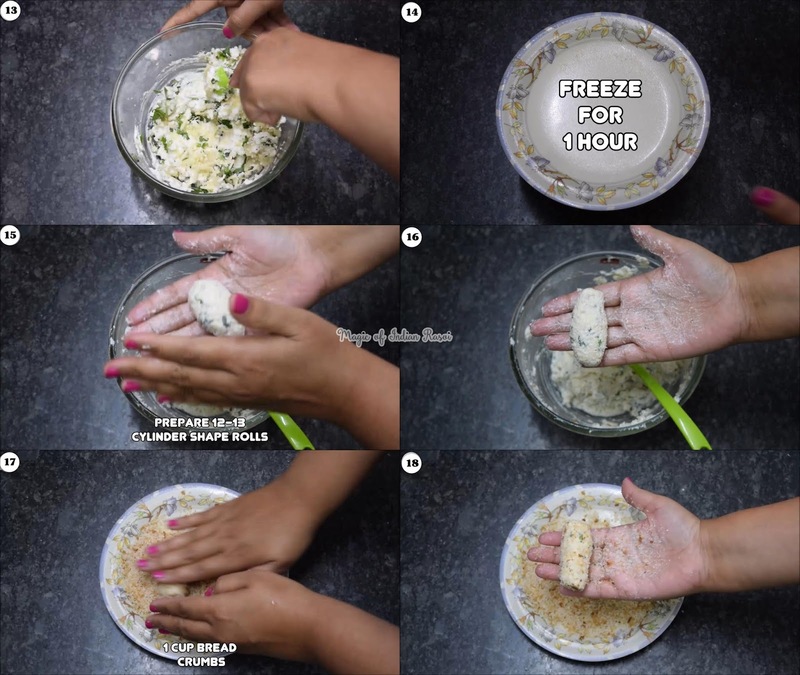 After 1 hour, take a spoonful of mixture & roll it into cylinder shape kebabs. Coat with 1 cup fresh bread crumbs. Fry immediately or refrigerate until needed to serve. Heat oil for frying. Keep the flame medium. 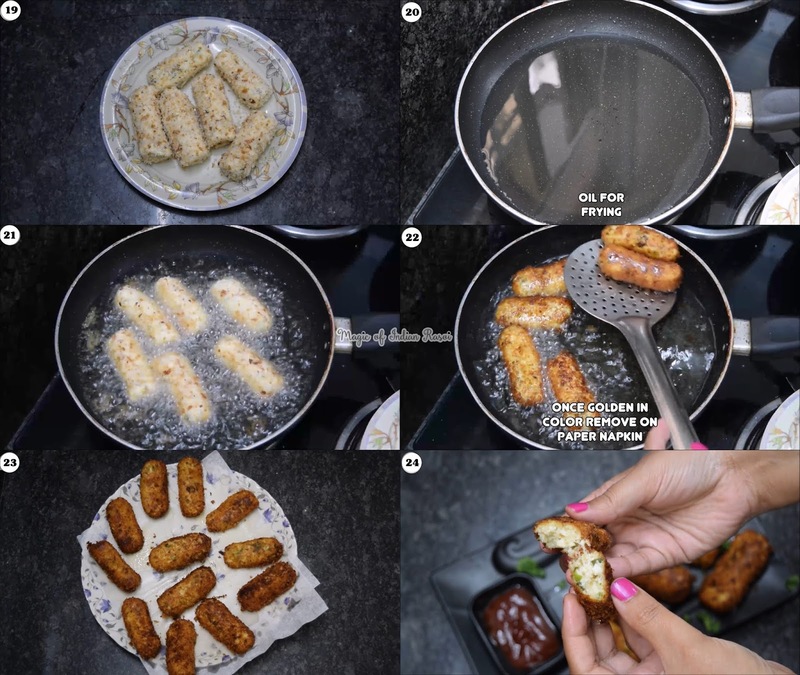 Fry Dahi ke Kebab until golden brown in color.